Did you know that you can now send messages on WhatsApp without an internet connection, both on iPhone and Android? Here is all you need to know on the subject. Have you ever wanted to send a WhatsApp message but couldn’t as you were without an Internet connection? I’m sure it’s happened many times. And you go mad when you are in the subway or in a place with no signal. You write the message but then you can’t tap on the send button as it is “Waiting for network.” This means that you have to remember to send the message afterwards, and most of the time you forget to do it. However, WhatsApp developers have now remedied this huge limit. You can finally press on the send button even if WhatsApp is offline. Then the message will be delivered once the connection is restored. This WhatsApp feature is available when there is both no data and Wi-Fi connection. As you may have noticed, in fact, in both cases it is not possible to tap on the blue arrow next to the text entry box. Now the blue arrow to send the message is always active, even if you’re offline. WhatsApp will automatically send your message whenever possible. This feature has been available for Android users for a long time, but it’s a novelty for iPhone users. P.S. 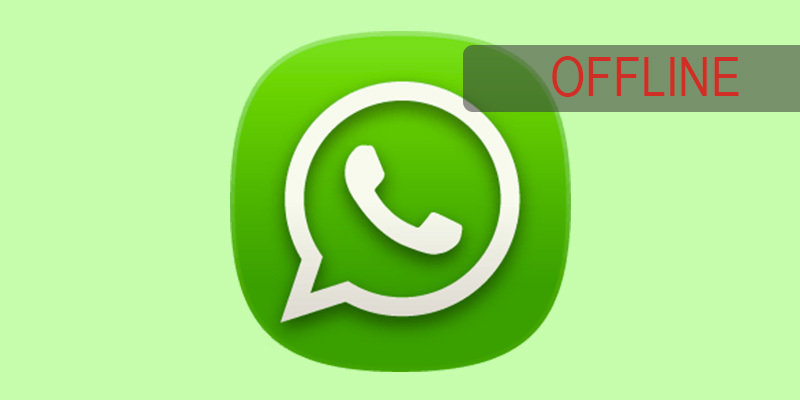 To be able to send offline messages you have to update WhatsApp to the latest version. You can also send more than a single message without an internet connection. You have to the chance to queue up WhatsApp messages while offline and send multiple messages to different contacts. Even without an internet connection, write your messages, click on “Send”, and when the internet network becomes available they will be sent. This feature can be used to send messages without being seen online! The moment you’ll refresh the connection the message is sent, but you haven’t been online – which means that no one can see you!